Last night, the Dane County Board of Supervisors, in a unanimous vote, passed Resolution 502, urging the Wisconsin Legislature to develop and support changes to statutes to ban any and all future wildlife killing contests. The U.S. Fish and Wildlife Service has announced its intention to remove Endangered Species Act protections for all gray wolves in the United States that are currently protected. 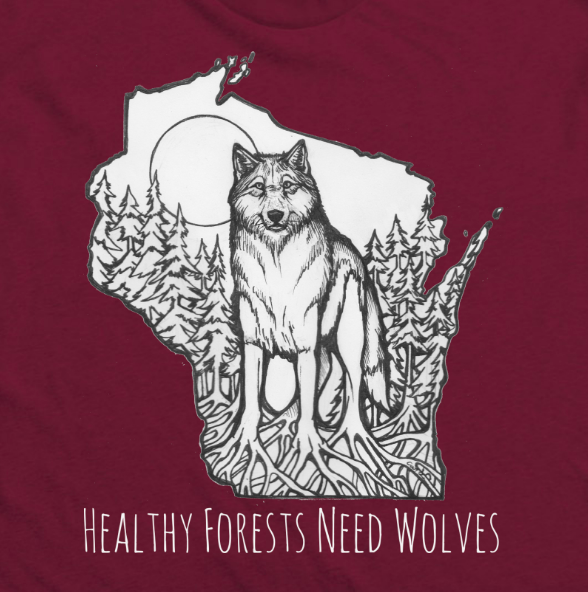 In response to today's release by Secretary Ryan Zinke's Department of Interior regarding draft regulations to weaken protections for America's most at-risk fish, plants and wildlife, Friends of the Wisconsin Wolf & Wildlife has put out a statement opposing this outrageous move. Starting this Saturday, over 12,000 bear hounds will be set loose on public land across Wisconsin to harass wildlife and disturb the peace of these natural areas. This proposed bill would prohibit conservation wardens from enforcing wolf conservation laws, prevent funds to be used for wolf depredations, and stop all wolf population monitoring in Wisconsin. Please join us in opposition at the hearing on Tuesday, January 16th. The bill eliminates the requirement for bear and wolf hounders to carry rabies and license tags for their hunting hounds. A public hearing was held one day after the bill was released. Many sport hunters proudly post pictures of themselves with their “harvest” and this year’s deer gun season was no exception. Some defend that these actions pay for conservation -- a strange kind of argument with many flaws. Congress should not enact laws to circumvent the courts, ignore science or take away our right to challenge decisions. Yesterday, Wisconsin State Representatives circulated a bill which would make it illegal for law enforcement to enforce state or federal law relating to management of wolves in Wisconsin. The Wisconsin Assembly Natural Resources Committee is considering a bill this Wednesday that would violate the public trust and put Wisconsin on a slippery slope to privatizing our wildlife and encouraging poaching.